A fully equipped, self-catering apartment in the center of the charming village of Minori, Vicaria has 2 double bedrooms (beds can be "queen size" or two twins), a large, light-filled living room with a dining area and double sofa bed, a fully equipped kitchen, 2 bathrooms and a private terrace with direct sea view, fully furnished with a table and chairs to enjoy your meals al fresco. 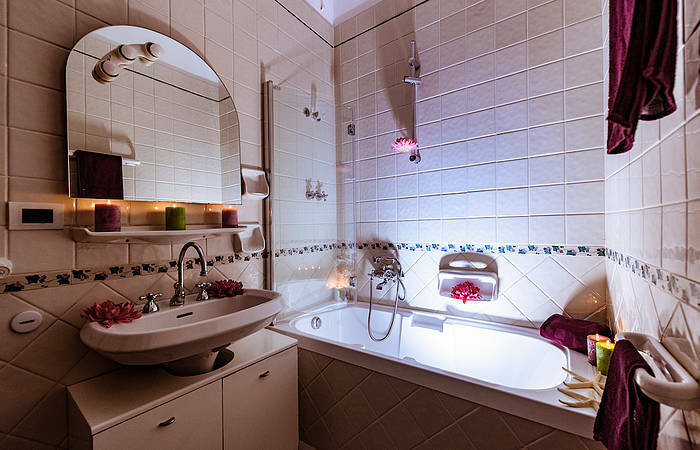 The main bathroom features a sink, a toilet, a bath with shower, the second bathroom consists of a toilet and a sink and there is an additional large shower located in a different room, next the private terrace. This comfortable apartment has air conditioning, heating, washing machine, dish washer, microwave, television, stereo system and high speed internet connection. 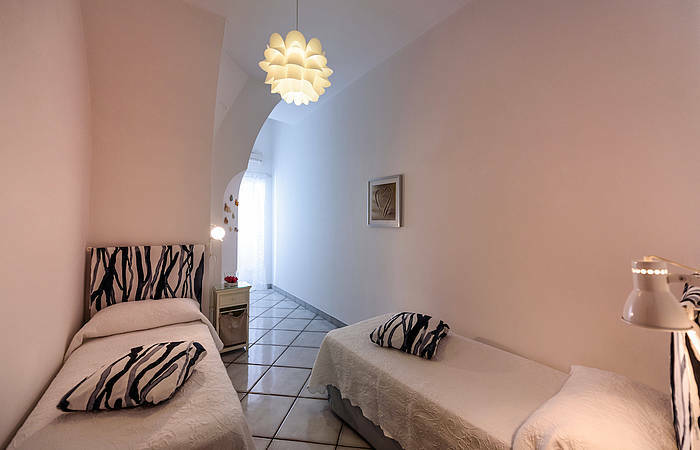 Vicaria is located on the first floor of an elegant building, with a total of 20 stairs to reach the apartment. Restaurants, grocery stores, bars and cafès are all at a walkable distance. 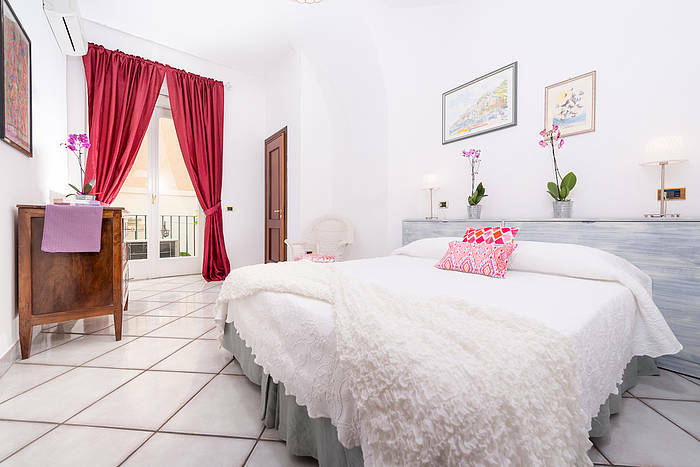 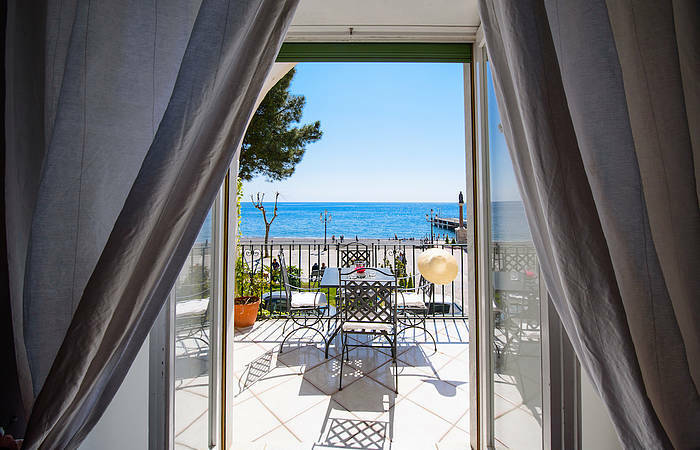 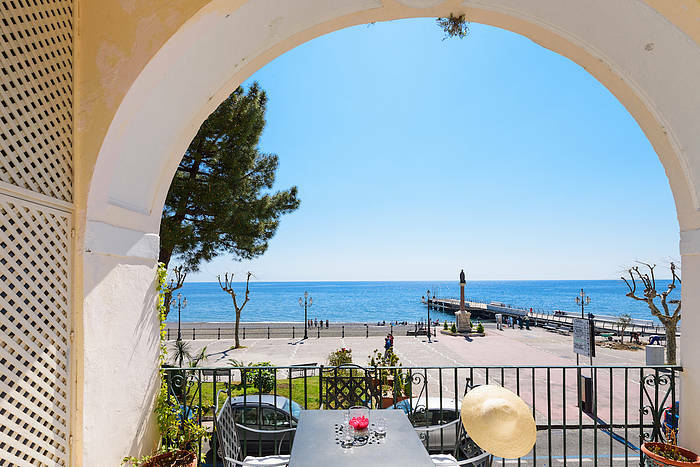 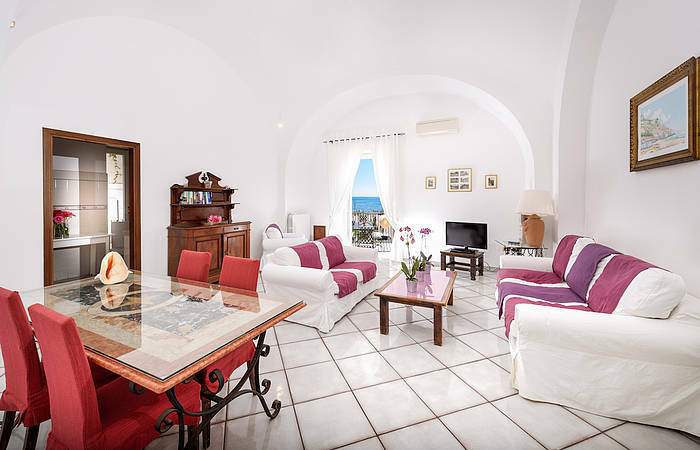 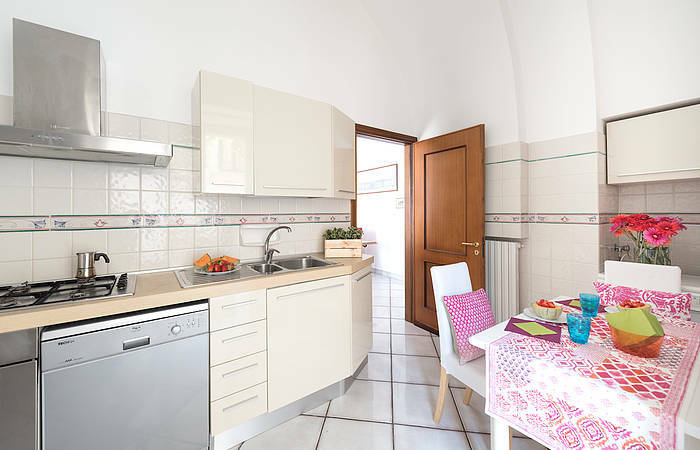 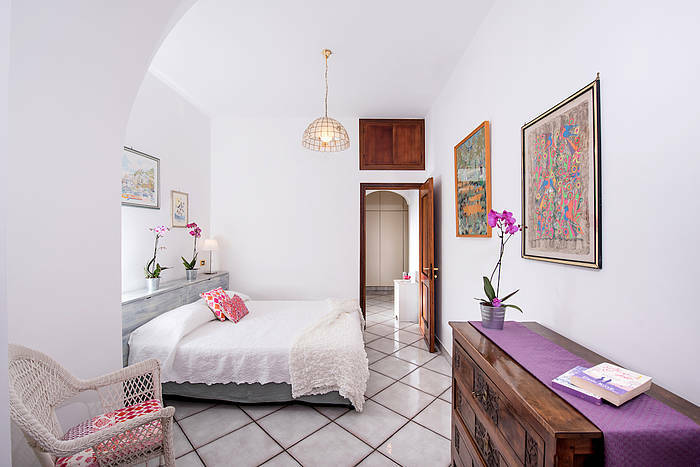 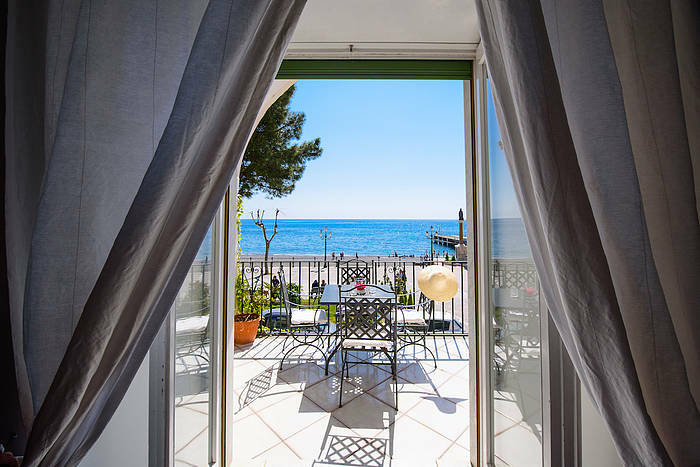 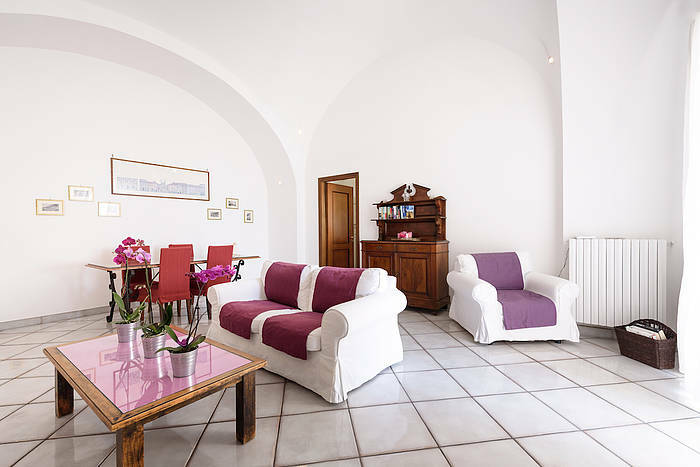 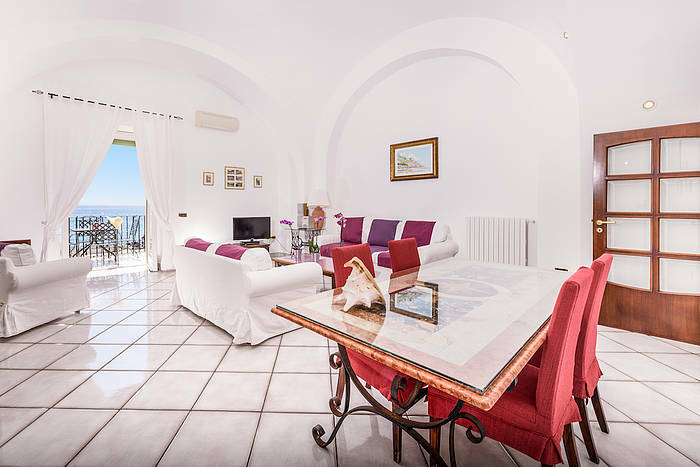 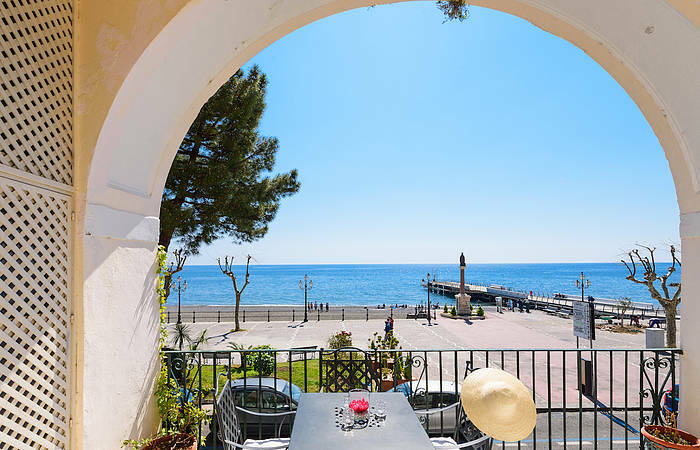 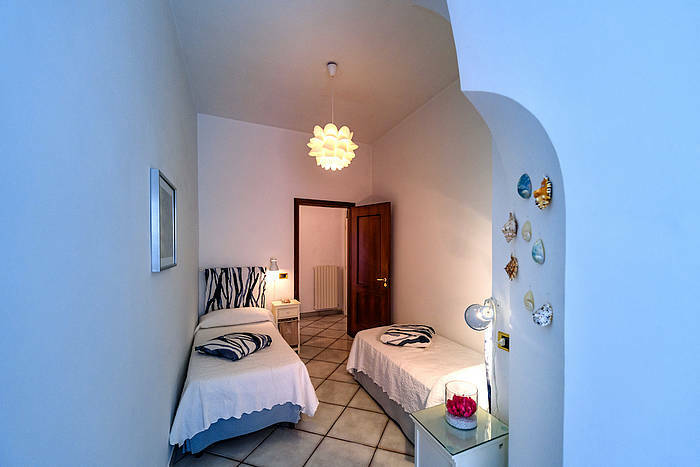 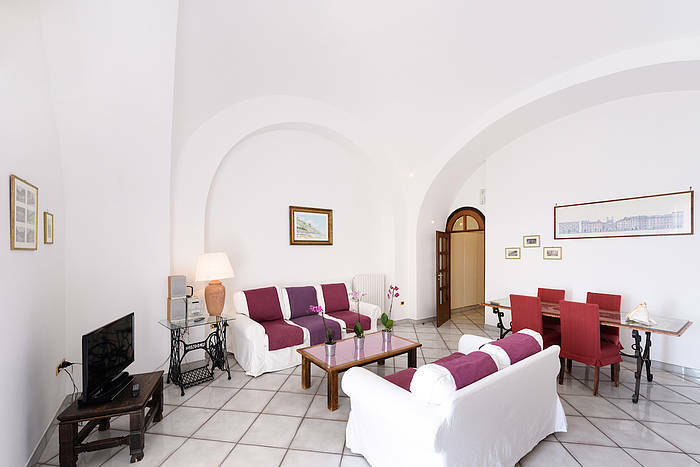 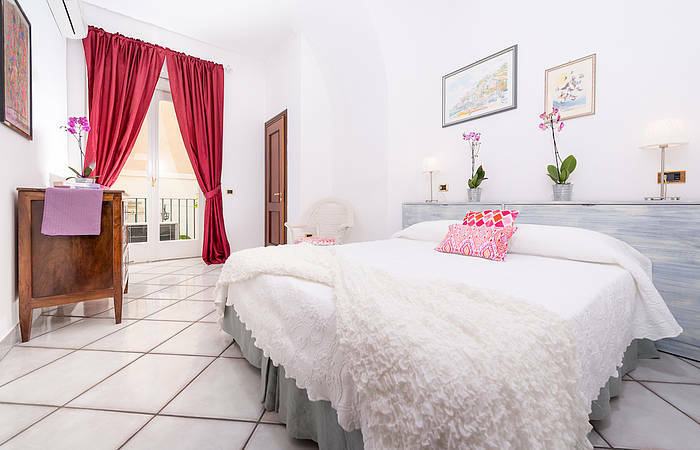 Vicaria has an excellent position on Italy's Amalfi Coast, right in the center of Minori and just steps to the sea (the beach is just across the road). 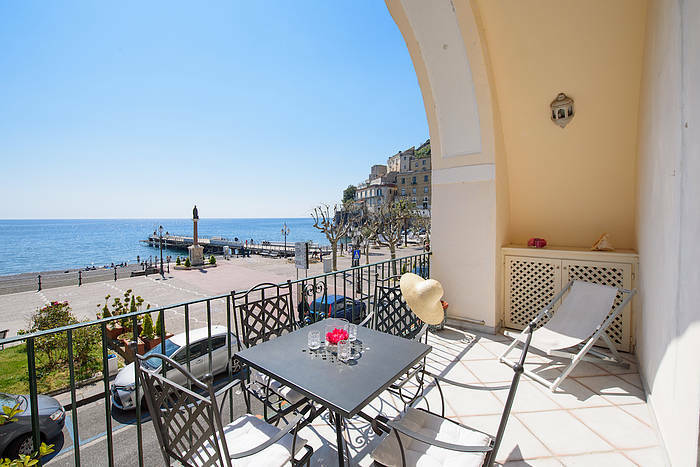 Restaurants, grocery stores, bars and cafès are all walkable. 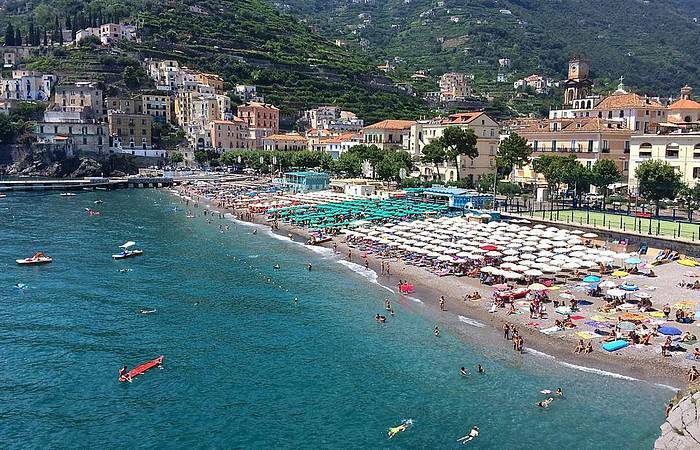 Just 2,4 miles/4 km from Amalfi (only 10 minutes away by car/bus/taxi or ferry), Minori is a pretty little seaside town and a favorite holiday destination on the Amalfi Coast, famous for its mild climate, great restaurants, pastry shops and large sandy beach. 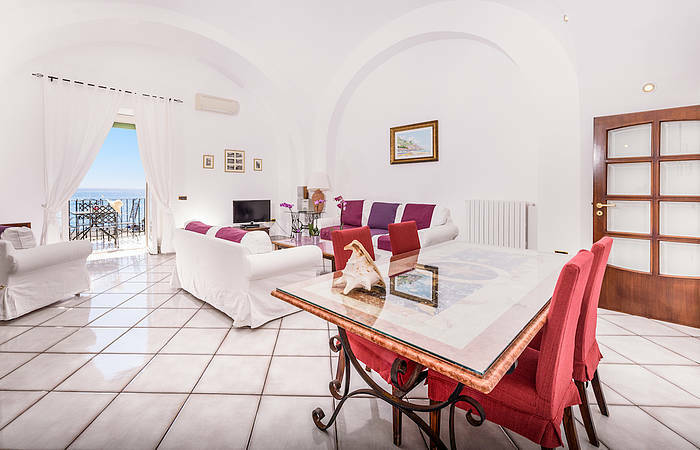 Want to visit Amalfi, Positano, Capri, Salerno or Naples? 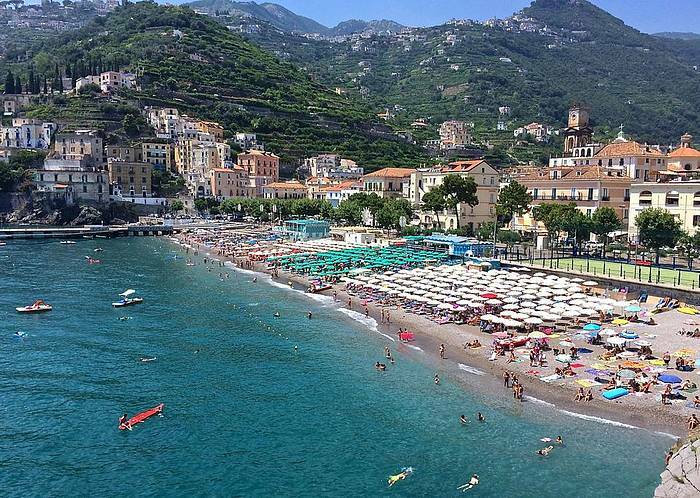 From Minori, you can reach all of these destinations by bus, boat or if you prefer a taxi! Please click here, if you wish to know more about Minori. 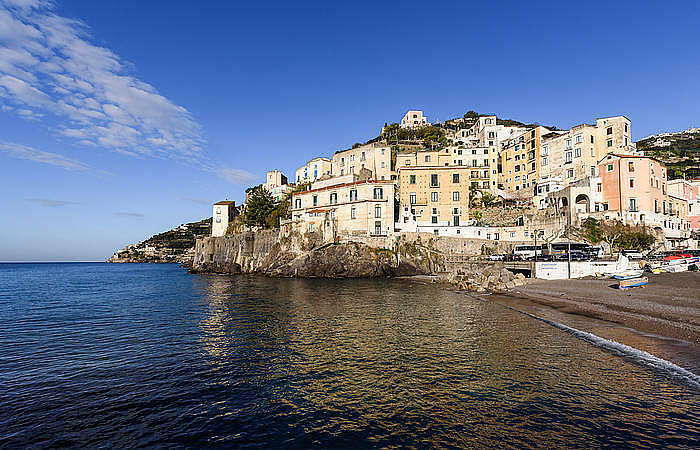 Closest airports: Naples (1.15 hour by car), Rome (3 and a half hours by car).